Posted by Stuart Stevens on Wednesday, January 3rd, 2018 at 1:38pm. 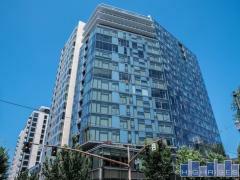 1 Response to "Exceptional 1 Bedroom in the Waterfront Pearl"
Dania wrote: Seeking more info on this building. Are units available for lease as well? Posted on Wednesday, July 25th, 2018 at 4:51pm.